Spiritual awakening is a universal phenomenon, and Kundalini is the biological mechanism behind it. The Emerging Sciences Foundation has created the Kundalini Database Project, an online tool designed to discover insights into the nature of Kundalini. By contributing important research data to the Emerging Sciences Foundation, you help in a global effort to explore the deepest mysteries of life. We hope to be able to provide you the most scientific and credible information about how to achieve a healthy spiritual awakening for yourself. 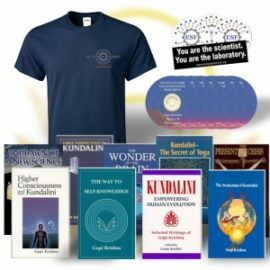 Take the Kundalini Database challenge today! Participate in the first survey and share this post to help increase our understanding of spiritual awakening, evolution, and enlightenment. I have just had a Kundalini rising experience and am in need of some guidance. I have a two page summary of my experience and can email it to anyone who may be able to provide such guidance. The phenomenon of Kundalini is not very well understood, and as such there is a definite lack of individuals properly trained in working with the process of a Kundalini awakening. We’ll try to get you in touch with someone. The most important thing that you can do to help bring knowledge of Kundalini into the public eye is to contribute information about your experience to the Kundalini Database Project. This project represents the first major effort to begin a large-scale investigation into the phenomenon. I have been going through a Kundalini awakening these last 6 years or so. I am glad to offer whatever assistance I can. Please contact me at drvishwanarayan@yahoo.com and send me your 2 pager. I am in Bangalore India.